The often-quoted “family of princes” was at no time a truly pan-European network, but represented rather a collection of various marriage circles defined first by – among others – geography, and following the Reformation, confession. Dynastic marital alliances were agents of at least restricted cultural transfer which made itself felt first and foremost at the courts but also influenced the rest of the country. Dynastic marriages often were an important part of foreign policy, bringing new options, changes in position or international stability. The house of Saxe-Coburg will be presented as an example of inter-dynastic networks (inner-dynastic networks can be found in the marriages between the various dynastic lines of the House of Habsburg) which planted its offspring on a surprising number of European thrones after 1800. Today, nearly a century after the democratizing revolutions of 1918/1919 put an end to a large number of European monarchies (Germany, Austria-Hungary, Russia and Portugal) and deterred others from adopting a monarchical system (e.g. Finland), noble marriages still retain a large degree of popular fascination. The pictures and film footage documenting family gatherings amongst the European nobility, whether on the occasion of a christening, wedding or funeral, still enjoy considerable popular interest. Strong family bonds remain between the Scandinavianmonarchies and royal houses of the Netherlands, Belgium, Great Britain, Spain, Monaco, Luxembourg and Lichtenstein as well as the de-throned families from Germany, Austria, Bulgariaand Italy to mention only the most important examples. Although marriages between these families have become the exception rather than the rule, the impression of a “great family of European dynasties” still prevails. The formalities of address serve to express this familial element: every member of this social cohort is somehow at least the cousin of another member of this exceptionally exclusive network. Understanding the context of dynastic marriages and their political function requires a grasp of the nature and structure of these dynasties. If dynasties are defined as cross-generational alliances of individuals constituted by land ownership and sovereign rights, and whose members married partners of equal rank and social standing to maintain and expand their existing social and power-political position, then the connection between dynastic marriages and state policy becomes obvious. A marriage was the indispensable pre-requisite for ensuring the existence of both a house and – in the time where dynasty and state were almost identical – that of a “state”. Marriages, often tied to peace treaties, were sealed by contract and often brought with them the possibility of claims to other dynastic possessions. As such, they had the potential to bring significant changes to the map of Europe. As a result, every dynastic marriage was associated with the will not only to maintain the social rank of the family, but to bring the maximum political and geographical advantage. The subject of interest for modern historians – the potential for cultural transfers associated with the union – was of only secondary importance. Following the Reformation, the most important factor in deciding a marriage was confession. 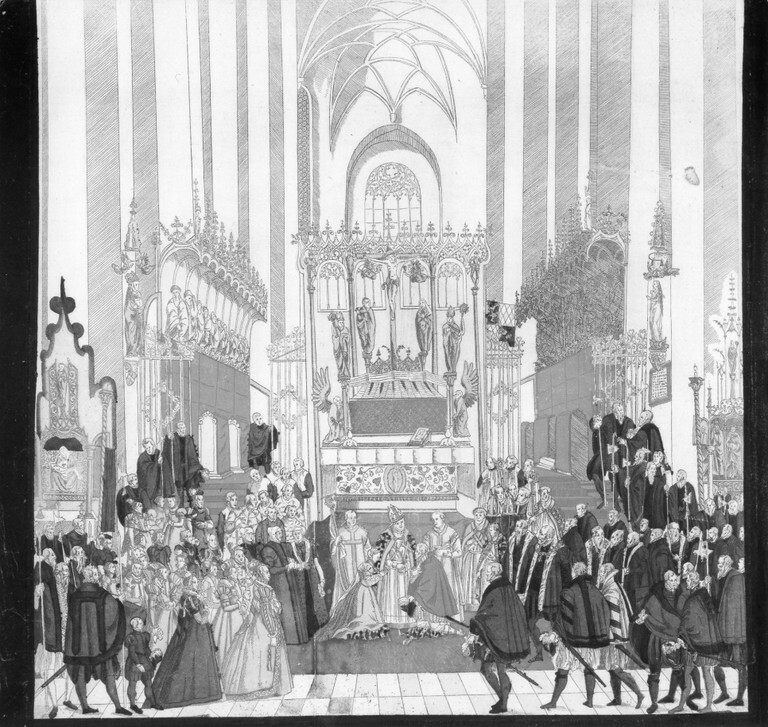 Inter-confessional marriages within the higher nobility were as good as impossible in the early-modern period and remained the exception even into the 19th century as exemplified by the marriage policy of the Hohenzollerns.10 In the very few cases in which such a cross-confessional marriage was effected, public opinion expected if not demanded the conversion of the bride: where this was not possible, the “old” religion was to be maintained as a personal matter, restricted to the confines of a private chapel. Such compromises were however, highly unpopular, involving as they did the danger that these centres of private worship could grow into cells of the “foreign religion” and with it, sedition. The “normal procedure” for dynastic marriages, involving two parties from the same confession, restricted the size of the potential bridal candidates considerably. Roughly speaking, there was a (Protestant) marriage circle encompassing Great Britain, Northern Germany and the rest of Northern Europe; its Roman Catholic counterpart was made up of France, Southern Germany and Southern-Europe. The borders between these two spheres were rarely crossed in the early-modern period unless necessitated by exceptional circumstances such as the marriage between Emperor Charles VI (1685–1740) and a (Protestant) Guelph princess, whose dynasty he needed as a political ally. A further confessional exception to this rule was presented by Orthodox Russia.11 Following Peter the Great’s (1672–1725) programme of “Westernization” and the associated opening to the West in the 18th century, the Tsars or Great Princes began the practice of marrying a Western princess (often from a German ruling family) who would then convert to Orthodoxy and take a Russian name. Thus, Princess Sophie of Anhalt became “Katharina” (1729–1796) and Sophie Dorothea von Württemberg (1759–1828), the wife of the Tsar Paul I. 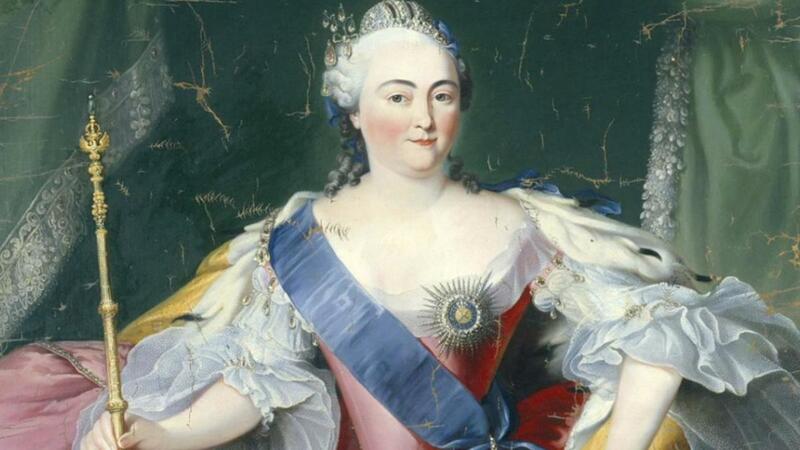 (1754–1801), (who came to be a great champion of German-Romanov marriages) became “Marija Fjodorowna”. Geographical considerations also served to restrict the range of possible royal marriage partners; ignoring the number of inner-dynastic unions within the house of Habsburg (the various marriages of which entailed a move across an area ranging from Madrid to Vienna), long-distance dynastic unions remained the exception right up to the end of the 19th century. Thus, it was not confessional grounds alone that prevented a marriage between members of the Swedish and Neapolitan royal houses, and princesses married to the Russian royal house in the 18th and 19th centuries had no easy lot since contact with the old home and family was not easy to maintain, and in terms of culture, Russia represented an entirely different world to which they first had to become accustomed. Therefore, marriages as that of the Spanish princess Beatrix of Aragón (1457–1508) with the Hungarian King Matthias Corvinus (1443–1490) in 1475 or that of Sigismund I of Poland (1467–1548) with the Milanese Bona Sforza (1494–1557) remained exceptions. Instead, we can observe a number of regional marriage circles including an East Central European, a North-German/Scandinavian, a Habsburg-Italian12 and a Western European circle. To give an example: The offspring of the union between the PolishKing Kasimir III (1310–1370) and a Lithuanian princess married a Pomeranian Duke (Elisabeth) and a Brandenburg Margrave (Kunigunde). Kasamir’s marriage with Hedwig von Sagan (d. 1390) produced a daughter who married the Count of Cilli. The children emerging from the marriage between Elisabeth and her Pomeranian husband were in turn married to Lithuanian und Mazovian princesses (Kasimir IV) and the Roman-GermanEmperor Charles IV (Elisabeth). The international nature of dynastic marriage relations was limited by the bounds of geography; and even in the 18th century the Hohenzollerns exceeded these constraints only in exceptional cases. Usually confining themselves to their “traditional” marriage circle involving Hesse (with whom they shared a traditional alliance, a kind of inheritance community), Saxony, Hanover and the House of Orange, they ventured outside these confines only once, marrying one of Frederick the Great’s (1712–1786) sisters into the ruling house of Sweden. It was only in the 19th century that marriage circles began to expand. 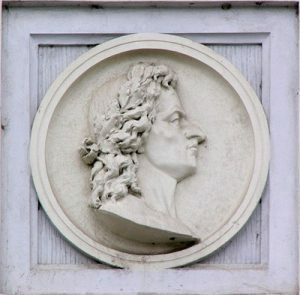 Of the children from the Saxon King John (1801–1873), a son (Albert) was married to a princess from the house of Wasa and his daughter married first a Duke of Genoa and then an Italian commoner. His son Georg married a Portuguese Infanta, whilst of his daughters, Anna married the Grand Duke of Tuscany, Margarethe an Austrian Archduke and Sophie a Bavarian Duke.13 The borders of traditional marriage circles were now – but only now – easier to overcome. The third factor regulating dynastic marriage policy amongst the higher nobility was exclusivity or parity. Members of a ruling house usually did not marry minor nobles: thus a Habsburg Archduchess did not marry an imperial knight or some minor rural Count. 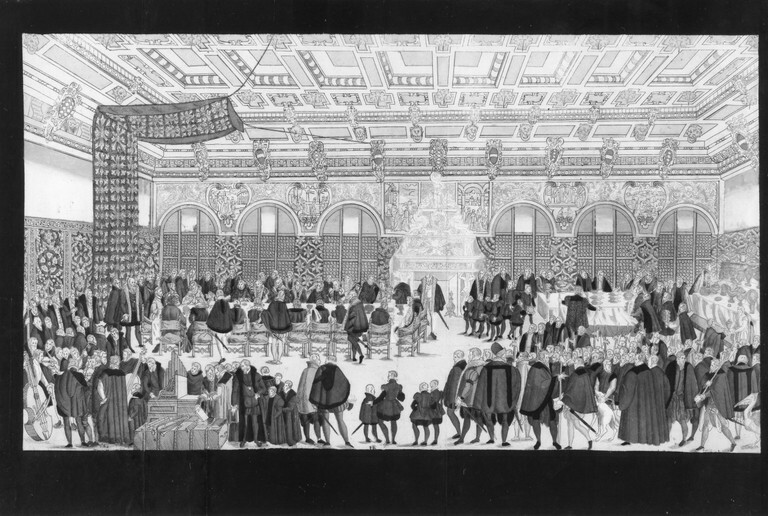 Although not going quite as far as to demand formal proof of ancestry such as was required for admission to a Cathedral chapter, the higher nobility did their very best to avoid bad matches, harbouring as they did, the potential for a considerable reduction in social prestige and the squandering of social capital. Should a member of the family ignore the threat of sanctions and insist on a marriage in any way morganatic, the socially inferior partner (usually the wife) would be subject to an established set of constraints. The socially inferior spouse was not received at court and all children issuing from the marriage were excluded from the succession. A good example for the intensive consideration accorded to marriage befitting rank was the case of the Prussian Prince and later Kaiser (William I 1797–1888). Hoping in the 1820s to marry a member of the Lithuanian higher aristocracy from the Radziwill family, his plans foundered on the resistance of father (Friedrich Wilhelm III, 1770–1840) and court, despite the fact that his aunt Luise of Prussia (1770–1836) had married Anton Prince Radziwill (1775–1833) in 1796. The monarch’s ministers and councillors succeeded in persuading him that Radziwill was not the equal of the Prince, since her family, although of princely rank, possessed neither lands nor a seat in the Reichstag. This case provides an almost paradigmatic example of how many of the ruling families became not less but increasingly concerned with social equality in marriage over the course of the 19th century. Generalization would be ill-advised however, as the Danish royal family for instance maintained a relatively “liberal” marriage policy in both the pre-modern period and again in the 19th century, allowing marriages to both minor aristocrats and commoners without making use of the concept of a morganatic marriage. In 1518, the Polish King Sigismund I of the Jagiellonian dynasty married into the (viewed from the dynastic perspective) second if not third-rate Sforza family. Whether the decision to marry Bona, the daughter of the Milan prince Giangaleazzo (1469–1494) was the result of the Italian tastes of the monarch or whether he came to appreciate Italian culture as a result of his marriage is an appealing argument although of little relevance for the matter in hand. Nevertheless, once married, Bona Sforza used all her influence to bring Italian art and artists to the city on the Weichsel and succeeded in attracting a number of prominent names from what was then the leading European centre of culture. Figures such as the goldsmith and illustrator Giovanni Jacopo Caraglio (c. 1498–1570), who remained at the Polish court until his death, Francesco Fiorentino, Antonio da Fiesole and Giovanni Maria Padovano (c. 1493–1574) all followed her call. Not all Bona’s efforts in this area met with success (artists tend to know their worth) and a prominent example of the figures who declined to leave Italy for Poland was Sebastiano Serlio (1475–1552). Whatever her relative success, Bona was accompanied to Krakau in 1518 by an entourage of some 300. Not all remained with her – some 240 eventually returned – yet the concentration of Italian cultural expertise at the Polish court remained impressive. Moreover, the influence of this Italian enclave was not restricted to the court, and Italian culture was carried far into the provinces, with artists such as Bartolomeo Berrecci (1480–1537) and his associates enjoying patronage from a sizeable number of Polish notables. Although Italy enjoyed a considerable cultural hegemony before Bona’s arrival, it was her presence and efforts at court that established the “cultural revolution” in Poland. It is inconceivable for instance that the Italian influences in architecture and the establishment of a 4,000 volume library could have developed without her. It was also due to her influence that the first painted portrait of a Polish Queen was commissioned. A further aspect of the wide field of cultural transfers effected, or at least considerably intensified by a dynastic marriage includes that achieved by Bona Sforza on the field of religion. Her confessor, the Franciscan Francesco Lismanino, and her personal physician, Giorgio Biandrata (1515–1588), numbered amongst the early protagonists of Polish Lutheranism. Following a royal commission, they began with the acquisition of foreign theological literature. With royal protection against claims of heresy, they and the rest of their Protestant entourage formed the core of a nascent religious plurality which established a climate of confessional openness. Despite these beginnings, the strict counter-Reformation instigated by Sigismund’s successors soon put an end to this confessional opening. With the exception of the inner-dynastic laws and hereditary alliances (themselves in the early modern period subject to notification and licensure at the supreme imperial courts, the Aulic Council and the Imperial Chamber Court) the trend was clearly set towards a judicialization of all aspects of dynastic marriages and their resulting consequences. Seeking to learn from the disastrous War of the Spanish Succession, which had broken out despite many years of bilateral and multilateral negotiations regarding Spain’s lack of a male heir, the Austrian Habsburgs now sought to establish an internationally recognized legal regulation of the succession. Known as the “Pragmatic Sanction”, the architects of this settlement hoped that the international family of states would act as guarantor of the Habsburg succession. As history knows, this attempt soon failed after the death of Charles VI in 1740; even the consorts of archduchesses, who had relinquished all claims upon marriage, now threw their hats into the ring. Failing so spectacularly, such a legal approach was not emulated by any other dynasty. A good proportion of inter-dynastic marriage arrangements were established in bilateral contracts – especially peace treaties – thus becoming an integral part of the Jus Publicum Europaeum. Well-known examples include the peace of Cambrai15 signed in 1529 between France and the Empire which stipulated the marriage between Charles V’s sister Eleanor (1498–1558) and the French King Francis I (1494–1547). A further example is provided by the Treaty of the Pyrenees in 1659,16 which arranged the marriage of the young French King Louis XIV (1638–1715) with the Spanish Infanta Teresa (1638–1683) and in so doing, unfortunately also sewed the seeds of the War of the Spanish Succession forty years later. Nothing demonstrates the function of dynastic marriages for high politics and international relations better than the location at which they are staged. In the case of the Paix des Dames of Cambrai, we can conclude that the marriage agreed was intended as an affirmation of the entire contract. All periods in history had a number of families, which, blessed with an especially large offspring, took advantage of these biological factors to reach special significance within the “family of princes”. As the saying “Bella gerant alii, tu felix Austria nube” (“Let others make war: thou, happy Austria, marry”) indicates, in the 16th century, this included the Habsburgs, especially when considering the Spanish and Austrian lines together with the Austrian minor lines as a single unity. The mid-17th century saw a reversal of fortunes within the family and a pronounced shortage of children. With the Spanish branch of the family reduced to a mere handful of representatives, it eventually died out completely. Even the Austrian line of this once-proud family feared for its existence decades before 1740. The shortage of offspring in the Habsburg line made the daughters of the Emperors Joseph I (1678–1711) and Charles VI especially attractive to potential suitors with ambitious political plans. The early 18th century saw the Guelph family achieve increased significance, placing a number of daughters on not only the imperial throne but on the thrones of Copenhagen and Berlin. The last third of the 18th century witnessed a phase in which the Darmstadt line of the Hesse ruling house became interesting for the European marriage market. 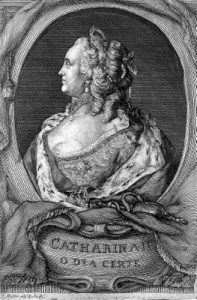 At that time the daughters of the “Great Landgravine” Caroline Henriette of the Palatinate-Zweibrücken (1721–1774) became an object of interest for many potential suitors. From the middle of the 19th century, it were the marital activities of the small house of Saxe-Coburg-Gotha that outshone those of all other houses.20 Exhibiting an extremely restricted marital range concentrated in Thuringia in the 18th century, this family was firmly on the last rung in the international royal marital stakes.21 This situation was further exacerbated at the end of the century after an imperial debit commission was instituted to avert impending financial ruin. In view of this, the marriage of a Coburg princess to the Russian Grand Duke Constantine (1779–1831) in 1796 amounted to a “dynastic revolution”. Not content with this coup, the family then proceeded to establish a Catholic line, opening marriage relations to the Catholic South-East and South. 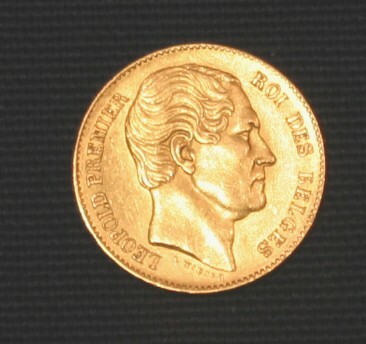 In 1836, it was even possible for a child of this (Hungarian) line of the family to marry the young Portuguese Queen Maria II da Glória (1819–1853) and thus advance to become the progenitor of the royal family Coburg-Bragança, which occupied the Portuguese throne until the proclamation of a Republic in 1910. The Catholic line of the Saxe-Coburg-Koháry family even spawned a further dynasty, providing the Great Princes (and since 1908, Kings) of Bulgaria. Of further great importance was princess Victoire (1786–1861), who took Duke Edward of Kent (1767–1820), a member of the British succession, as her second husband. This union produced a daughter, Victoria (1819–1901), who was to be crowned Queen of Great Britain in 1837 and who married the Coburg Prince Albert (1819–1861) , a younger son of Duke Ernst (1784–1844) in 1834. The dynastic ties between Londonand Coburg-Gotha were to break (formally and symbolically) only during the First World War. In addition to this English “network,” the Coburg prince Leopold (1790–1865) is also a significant family figure; once considered for the Greek crown, he was to ascend to the Belgium throne after its independence in 1831 following marriage to a French princess. Thereafter, Brussels became a centre of Coburg dynastic policy to an extent that there appeared the dictum of “international Coburg family power”. The dynasty founded by Leopold occupies the Belgian throne until this day. 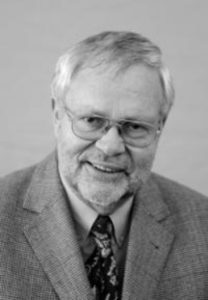 Kohler, Alfred: “Tu felix Austria nube…”: Vom Klischee zur Neubewertung dynastischer Politik in der neueren Geschichte Europas, in: Zeitschrift für Historische Forschung 21 (1994), pp. 461–482. Lamaison, Pierre: Tous cousins? De l’héritage et des stratégies matrimoniales dans les monarchies européennes à l’âge classique, in: Pierre Bonte (ed. ): Epouser au plus proche: Inceste, prohibitions et stratégies matrimoniales autour de la Méditerranée, Paris 1994, pp. 341–367. 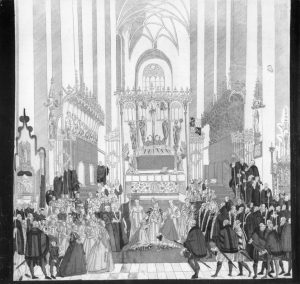 Wade, Mara R.: Triumphus Nuptialis Danicus: German Court Culture and Denmark: The “Great Wedding” of 1634, Wiesbaden 1996. Bély, La société des princes 1999. Asch, Europäischer Adel 2008; Reif, Adel im 19. und 20. Jahrhundert 1999; Sikora, Adel in der Frühen Neuzeit 2008; Wienfort, Adel in der Moderne 2006. Spieß, Familie und Verwandtschaft 1993; Bély, La société des princes 1999. Paulmann, Pomp und Politik 2000. Kohler, Tu felix Austria 1994. Lebe, Ein Königreich als Mitgift 1998. Schönpflug, Die Heiraten der Hohenzollern 2009. Cf. for more details Roll, Dynastie und dynastische Politik 2007. Cf. some details in Duchhardt, Die dynastische Heirat als politisches Signal 2001. Marburg, Europäischer Hochadel 2008, p. 309. Popp / Suckale, Die Jagiellonen 2002. Digitalized peace treaty of Cambrai, 05/08/1529, provided by the Institute of European History, Project Europäische Friedensverträge der Vormoderne [04/08/2011]. Digitalized peace treaty of the Pyrenees, 07/11/1659, provided by the Institute of European History, Project Europäische Friedensverträge der Vormoderne [04/08/2011]. Some pictures are available in Czok, Am Hofe Augusts des Starken 1989. Wade, Triumphus Nuptialis Danicus 1996. Mulimedia description of Saxe-Coburg and Gotha in the historisch-geographisches Informationssystem der Staaten Deutschlands und Mitteleuropas seit 1820 (HGIS)[04/08/2011]. Nicklas, Von der Regionalität zum europäischen Konnubium 2007, p. 105. Cf. idem, Das Haus Sachsen-Coburg 2003. Kunisch, Staatsverfassung und Mächtepolitik 1979. Cf. Schönpflug, Die Heiraten der Hohenzollern 2009. This entry was posted in Early Modern, History. Bookmark the permalink.